In the pre-antibiotic era that so many of our ancestors lived, illness among the children could become deadly very quickly. Unfortunately the disease spread quickly in unprotected populations and newspaper reports, like this one from Victoria, were not uncommon. While the children were unhappy about the prospect of a needle the parents breathed sighs of relief! 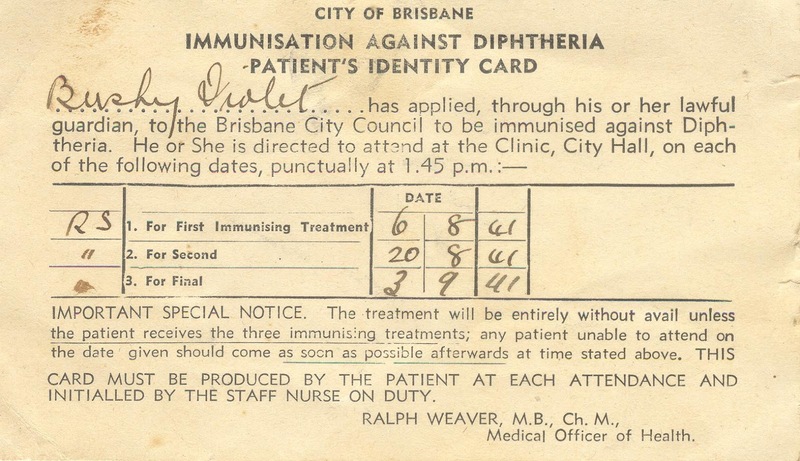 My Grandmother told me of her fears as other families she knew had lost children to diphtheria. She remembered her days at Kelvin Grove State School when there had been cases and a number of her schoolmates had fallen ill with some deaths. 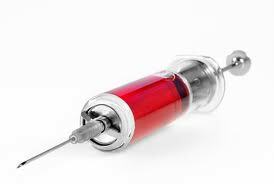 Below is my Mother’s vaccination card. It's worth remembering t.Hess old illnesses withntheir capacity to kill. I wonder if your grandmother was at K G school when my father was there late 1920s to early 1930s? Yes it is very possible although she may have been a few years ahead. Myrtle Doris Weeks left Kelvin Grove in 1930 at age 13. I have a couple of old Kelvin Grove photos I'll put up. As well as Grandma there were a number of the Rollason family there. My mother was the third generation to go to Kelvin Grove. So sad, and it was all too common. I remember when I was working on the 'Register Personal Notices' books, and you get to see the number of family members that dies within such a short span of time – it's heartbreaking.